With semi-hurricane conditions raging outside thanks to Storm Deirdre, it's looking like a night by the fire. Thankfully, we're coming into the festive season so there are plenty of great films on. We've handpicked a drama, a comedy and a classic Irish movie that we know you'll enjoy. Based on a true story, it follows the fund managers who saw the 2008 financial crash coming - and made money off it. It's funny and dark and boasts a stellar cast including Steve Carrell, Ryan Gosling, Brad Pitt, Christian Bale and Margot Robbie. Not the 80s one but the all-female remake from 2016. The film caused a lot of controversy at the time (fragile masculinity much?) but we reckon it's just as much craic as the original. 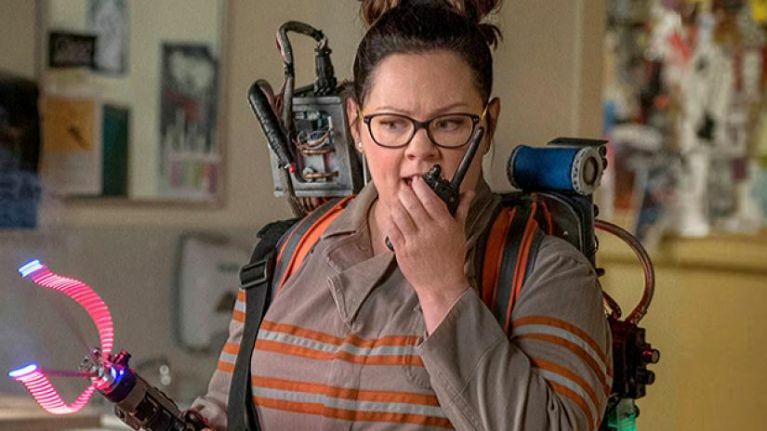 It stars Melissa McCarthy and Kristen Wiig and is directed by Paul Feig, the man who brought us Bridesmaids. If you've never gotten around to this, now's your chance. The very first feature film by Room director Lenny Abrahamson, Adam & Paul introduces us to two Dublin city drug addicts. What follows is a funny, heartbreaking romp.